A once-off unique opportunity to own every Platter’s Five Star wine featured in the new 2019 edition. Many of these wines are unavailable on the open market and indeed most are long sold out. This is a spectacular addition to the library of any serious wine collector, or the perfect lot for the wine lover who wants to create an “instant” wine library of only the best South Africa has to offer. The successful bidder will receive one of every bottle of wine that has been awarded Five Stars or 95+ points in the 2019 Platter’s. A total of 90 bottles of the best wines that feature a wide range of varieties and styles and a cross-section of the Cape’s greatest producers. These will be delivered free anywhere in South Africa. 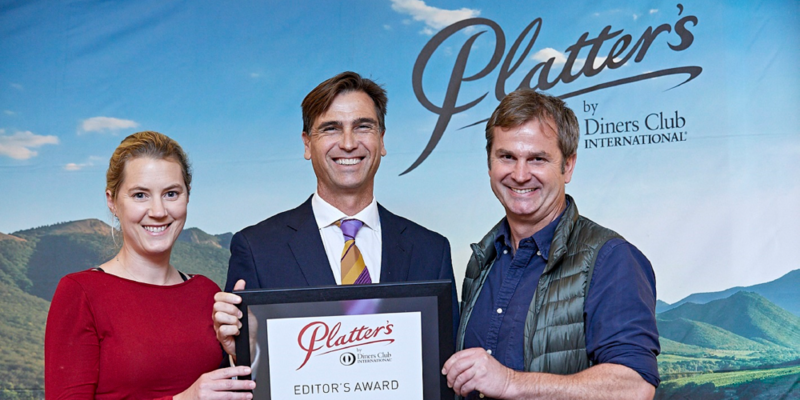 Since 1980, Platter’s by Diners Club has been South Africa’s first and still leading wine annual, rating and describing over 8,000 wines per year. The guide’s content is compiled by a team of leading wine experts and, for the first time in the 2019 guide, all wines also received a rating on the 100-point system. This lot includes an exclusive tutored tasting and lunch with the Winery of the Year that received the 2019 Editor’s Award – Newton Johnson Wines – as well as an invitation of the private launch of the 40th Anniversary Edition of Platter’s in late 2019. Wine delivery anywhere in South Africa. Excludes any travel and accommodation costs for winery tasting and lunch. Excludes travel to Platter’s launch. A bottle of every wine that has been awarded Five Stars or 95+ points in the 2019 Platter’s. A total of 90 bottles. Editor’s Award – Newton Johnson Vineyards. An exclusive tutored tasting and lunch with the Winery of the Year that received the 2019 Editor’s Award – Newton Johnson Wines. An invitation of the private launch of the 40th Anniversary Edition of Platter’s in late 2019. A weekend stay for two at the Table Bay Hotel over the weekend of the Platter Launch.